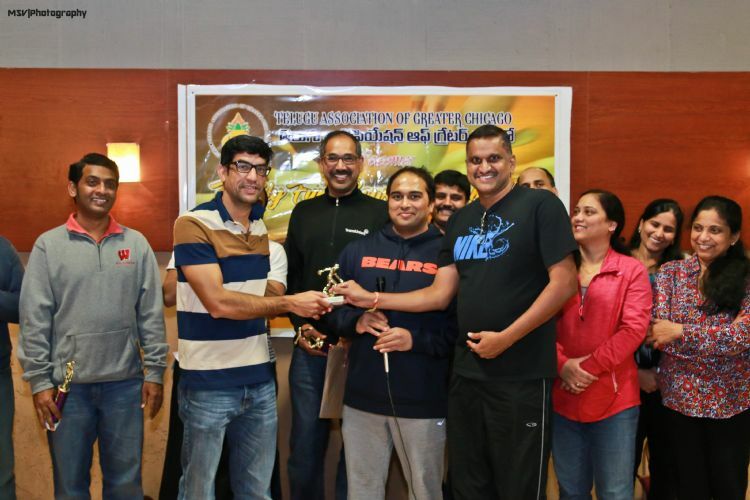 Chicago- February 26th, 2017: TAGC has been conducting sports related events since late 1970 to encourage members to come out of their daily routine and to provide excellent networking opportunities within the community, said Ramachandra R Ade, President, Telugu Association Of Greater Chicago. 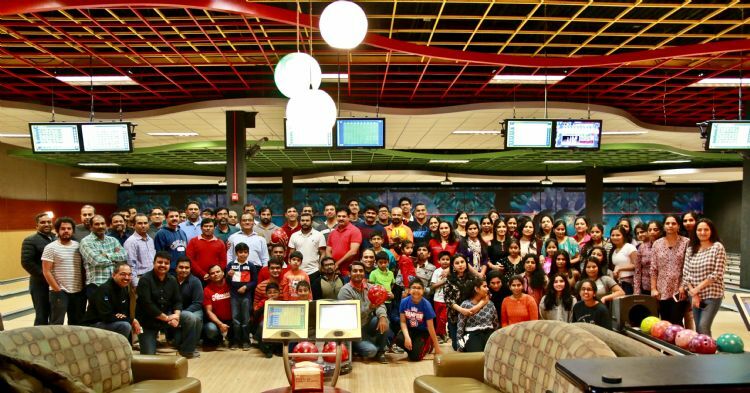 We are proud to announce that we got record number of registrations this year's first sports event, TAGC Family Fun Bowling tournament with a total of 173 registered participants compared to previous years, he said. 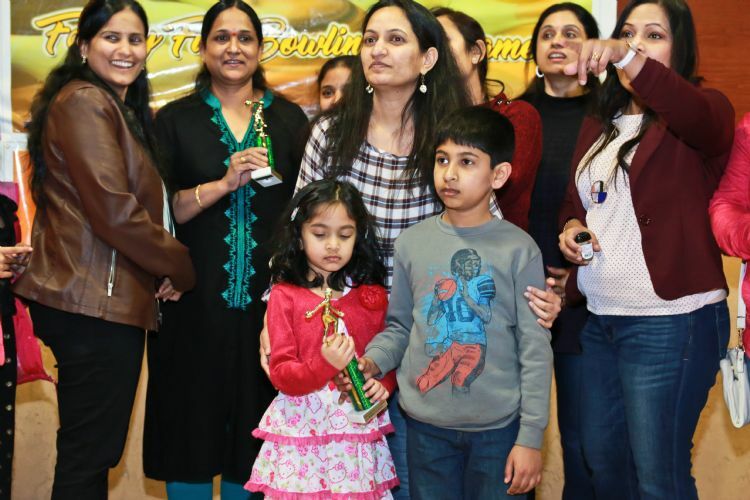 Overall, the event was a grand success and this was made possible only due to TAGC Board and Sports team's dedication and hard work and by spreading word using all means of communication within the Chicago-land Area. TAGC Membership team made excellent arrangements for smooth check- in by welcoming registered participants/guests in a very organized manner. Participants showed Great Spirit and enthusiasm by arriving on time to the event on Sunday morning and started the first game at 10:15 AM. Participants were divided into 4 groups, Men (Above 14 years), Women (Above 14 years), Girls (Below 14 years) and Boys (Below 14 years). Spontaneously announced a special consolation prize for who scored highest in wife & husband. Each Bowler/participant got an opportunity to play 2 rounds. Top 3 scorers from each group were announced as winners. Delicious Cheese, Veggie and Chicken pizzas were severed during the lunch along with soft drinks. As announced during Kick-off Board meeting and Sankranti event to focus and conduct more on youth networking to encourage youth to participate & promote in TAGC objectives. Youth networking was organized after the youth bowling tournament. Mr. Evan Scronce spoke to the youth on topic 'Career Opportunity in Digital'. There was an active participation and enthusiasm shown by Youth members and request made to conduct many more these kind of youth activities. Speaking session notes were shared with all youth members after the event. TAGC President and Youth committee chair Sai Gongati thanked Mr. Evan Scronce for his inspirational speech and honored him with a plaque and shawl. TAGC would like to thank Pegasus Knowledge Solution CEO Mr. Srini Voruganti for his continues support TAGC and sponsoring TAGC bowling Event and Mr.Dhitu Bhagwanker, owner of Strike Ten Bowling Lounge & his management team to open the facility before regular schedules and co-operating with the crowd all in aspects. Participants left the event relaxed and appreciated all the TAGC committees 'Membership team for pleasant welcome & flaw less check-in process, Sports team for executing the event successfully, Youth team for youth networking session and all the BODs their support. Special thanks to Sports Committee Chair 'Sapthagiri Sangem and his team, Membership Committee Chair- Mamatha Lankala and team, Treasurer- Venkat Gunuganti, Ranga R Lenkala for taking the event photos, TAGC Board and Volunteers.